We here in the great white north know everyone’s favourite season, winter, all too well – and with that we know how, just like winter can be hard on us, it can also be hard on our vehicles. Not only does the snow and ice make driving conditions abominable, drastically increasing the number of traffic accidents that occur, but the subzero temperatures alone can have some not-so-nice affects on our rides. As with most things in life, the best way to minimize winter wear and tear on your car is through care, attention to detail, and keeping up with maintenance. Below, we’ve outlined what we believe are some of the most important tips and tricks to keep in mind this winter season in order to minimize winter wear and tear on your car. Aside from the little fact that, in many parts of Canada, not having the proper winter tires on your vehicle can deem your insurance null and void in the event of an accident, it should be common knowledge that they truly make all the difference when driving on bad winter roads. Having winter tires on your car, in addition to driving defensively and accordingly to the conditions, will drastically reduce your chances of finding yourself at the center of a traffic accident, or even just a scare. It isn’t uncommon for winter to grace us with temperatures average -25 and colder, and as uncomfortable as those temperatures are for us, they are equally as uncomfortable for our vehicle’s engines. Antifreeze, in alignment with its name, keeps your engine from freezing up in cold temperatures. It is added to the water in the engines coolant system in order to lower the freezing point of the water. Without antifreeze, the chances of the water in the engine freezing are extremely high. This wouldn’t only cause a number of problems with the performance of your vehicle, but would also cost more than a few shiny penny’s to fix. There are two reasons why keeping your gas tank full during the winter is always a good idea. First, having a full tank helps to prevent the accumulated water within the tank from freezing and causing problems inside your tank and fuel pump. The second reason is a matter of preparedness and safety. As much as we hope otherwise, there is always the chance that you may end up stuck, lost, or stranded, and having to spend an extended period of time in your vehicle waiting for some sort of aid. In the even that this happens, having a full tank of gasoline provides you the opportunity to periodically run the vehicle to keep yourself warm. Don’t give small issues the opportunity to turn into larger problems. This will only cause you more stress, cost you more money, waste more of your time, and potentially put you in harms way. Get small items repaired immediately. Save yourself the trouble. Keep Your Car in Tip Top Shape this Winter! 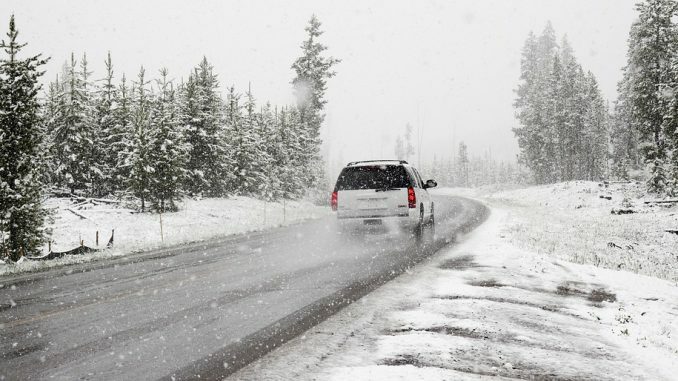 Winter driving is no joke, and taking proper care of your vehicle shouldn’t be either. By keeping up with necessary maintenance and adding some winter specific habits into your maintenance routine, you will save yourself time and money and keep yourself safer on winter roads.